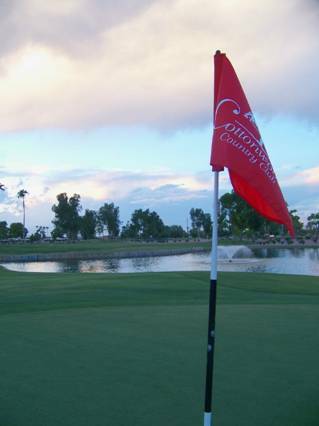 Cottonwood Country Club boasts a challenging but fair and well manicured par 72 Championship style golf course. Cottonwood golf course has five sets of tee boxes designed for golfers of all different abilities. Black Tee's, measuring 6584 yards with a 123/71.1 slope and rating. Blue Tee's, measuring 6258 yards with a 119/69.5 slope and rating. Cottonwood Country Club also has a full size driving range, pitching and chipping area, and putting green. 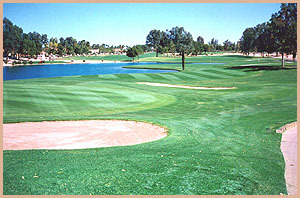 Palo Verde Country Club also offers a newly designed short game area. The short game practice area features a large 6,900 square foot putting green, 3,100 square foot chipping green, and 800 square foot practice bunker. 25219 S. EJ Robson Blvd. in accordance with the Arizona and Federal Fair Housing Acts.